Home / HINDI-NEWS / 7th pay commission Latest News today: Government employees in Arunachal Pradesh. 7th pay commission Latest News today: Government employees in Arunachal Pradesh. The 7th pay commission latest news Arunachal Pradesh government employees. 7th pay commission: Demands for pay hikes by government employees are rising thick and fast across the country. The reason is either because of denial of hikes for a long period or staffers not getting the benefits of seventh pay commission. Now, with the start of election fever in 5 states and general elections 2019 also around the corner, employees are increasingly resorting to pressure tactics. The latest news is that Arunachal Pradesh government employees have decided to go for a 2-day pen and tools down strike from today to protest the non-fulfillment of their demands for the implementation of recommendations of the 7th Pay Commission for them. The Confederation of Service Associations of Arunachal Pradesh (CoSAAP) has rejected 'partial' fulfillment of its demand by the state government and has resorted to the two-day strike which is the first phase of the agitation, CoSAAP president Pate Marik told PTI in Itanagar today. Not just that, Marik reportedly stated that if their demands were not met, the CoSAAP will go for a four-day pen & tool down strike from October 23, followed by an indefinite strike from November 8. 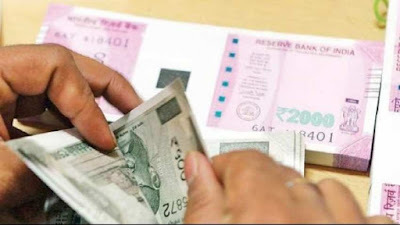 Earlier on Monday, the Arunachal cabinet reportedly decided to consider the only grant of tough location allowance (TLA) and house rent allowance (HRA), considering the employees' demands on the pay panel. The Cabinet decision was conveyed to the CoSAAP. Meanwhile, trying to take advantage of the situation, Congress has supported the employees' demand, asking the Arunachal government to implement recommendations of the 7th Pay Commission in the state in toto. Notably, Tripura, yesterday cleared the 7th pay commission based pay hike for its employees. Arunachal Congress Committee president Takam Sanjoy has also accused the BJP government of delaying the employees' demands. Issuing a statement, he said, "The state government had implemented 5th and 6th Pay Commission recommendations in the state in toto.... (The employees are) entitled constitutionally to get each and every benefit of 7th pay commission." Notably, about 50 lakh central government employees and a similar number of pensioners have been making efforts to put a pressure on the Centre to get their demands for hike in pay through an increase in fitment factor over and above the recommendations of the 7th pay commission panel report.